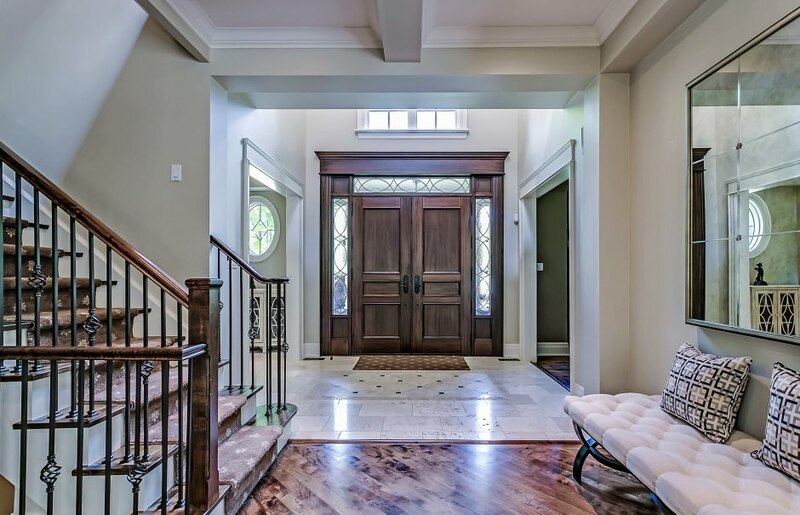 The foyer with two-storey ceiling is flanked by a cozy den with gas fireplace, and a formal dining room with bay window, central chandelier, and convenient servery with stainless steel wine fridge. The incredibly open concept main level is centered on the sunny breakfast area and sitting room with panoramic windows. 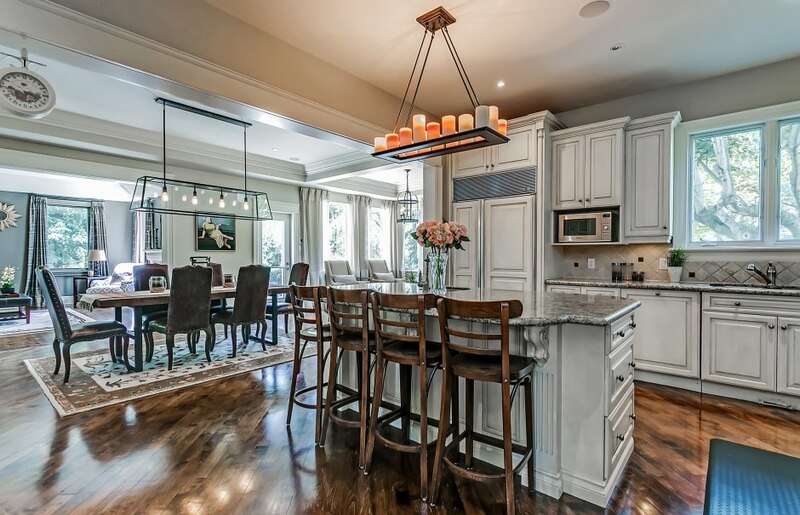 The great room, with gas fireplace with stone surround, built-in ceiling speakers, and custom built-in walnut cabinetry, opens to a gourmet eat-in kitchen. Antiqued custom cabinetry with granite countertops and a stone tile backsplash surrounds a central island with bar seating. High-end appliances include the built-in Sub Zero refrigerator, Miele dishwasher, and stainless steel Dacor six-burner gas stove with custom hood range. 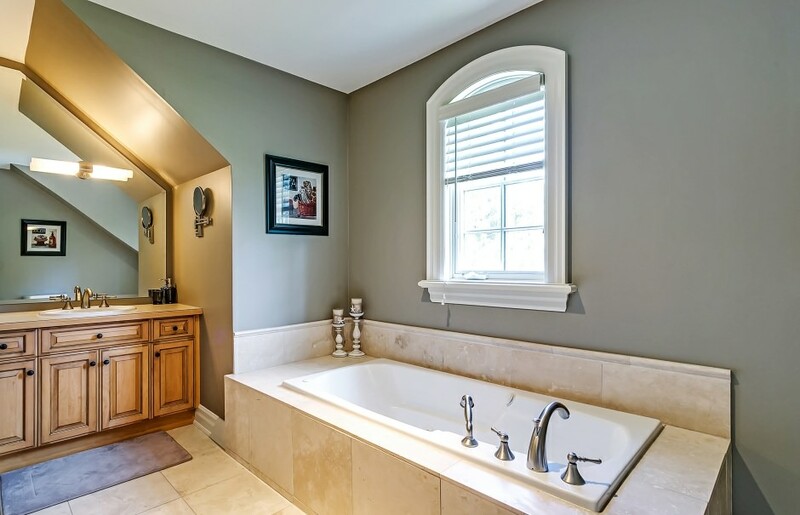 A pretty powder room and mudroom with charming bench seating are smartly located with inside access to the double car garage. 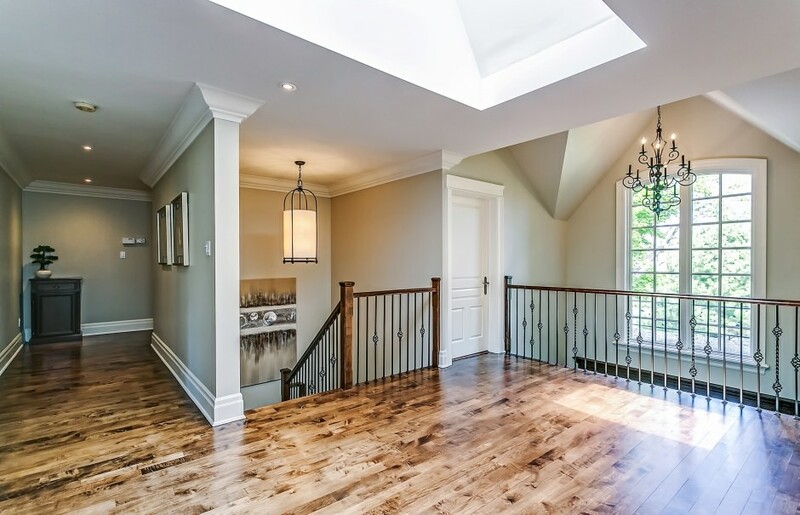 The second level landing is flooded with natural light from the feature window and an oversized skylight. The master retreat is quietly tucked away, with its own gas fireplace, walk-in closet, and five-piece ensuite with heated floors, His & Her vanity, Jacuzzi soaker tub, and walk-in shower. Two additional bedrooms share a Jack & Jill bathroom, while a fourth bedroom boasts its own ensuite. A lovely fifth bedroom and/or den walks out through double French doors to its own private terrace overlooking the rear yard. The laundry room is also conveniently situated at bedroom level. The fully finished lower level offers ample additional living space, including a recreation and games/exercise room, spare bedroom, and three-piece bathroom with cedar sauna. 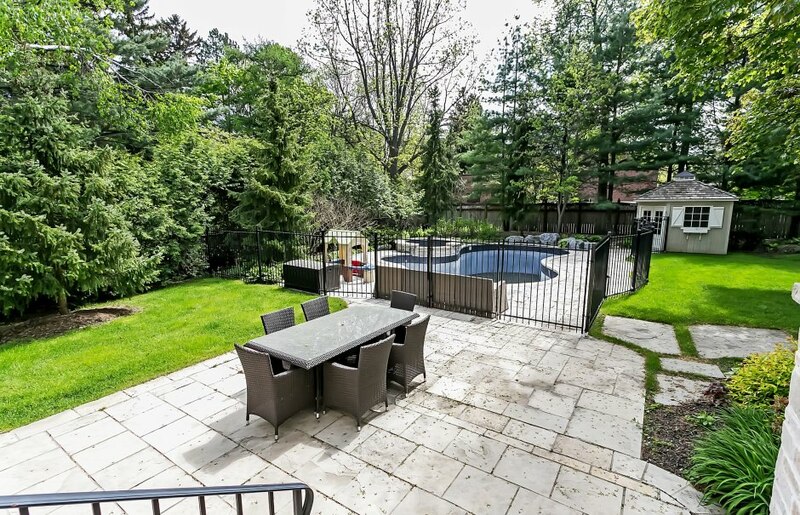 Mature trees and lush landscaping enclose the private rear yard. A flagstone patio delineates the space for dining al fresco, overlooking an in-ground gunite pool with built-in hot tub with waterfall overflow feature. This truly park-like setting provides ample room for dining, swimming, and relaxing. Located in one of the best school districts, this is a fantastic home for enjoying family life in desirable South East Oakville!